U.S. 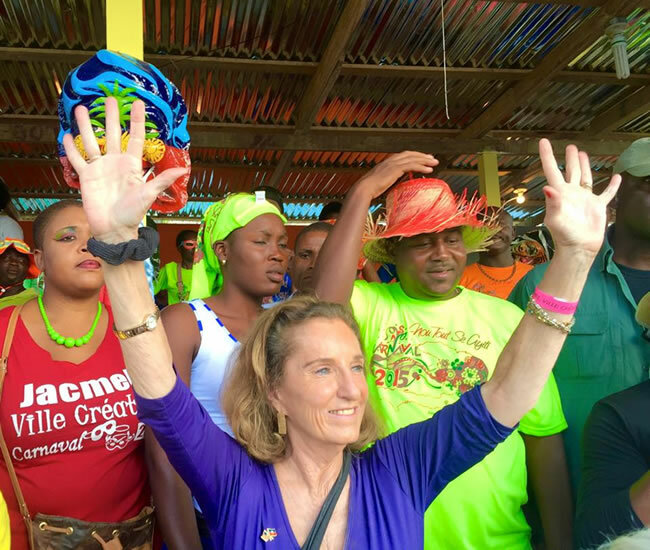 Ambassador to Haiti, Pamela White, has been a 35-year career diplomat. After earning degrees in journalism and international development she joined the Peace Corps from 1971-1973. She worked for U.S. Agency for International Development in Africa from 1978-2001. In 2010 President Obama appointed her U.S. 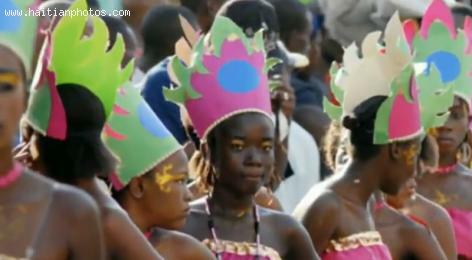 Ambassador to Gambia (she received the Medal of Honor, rarely awarded to foreigners), and in 2012 as Ambassador to Haiti. 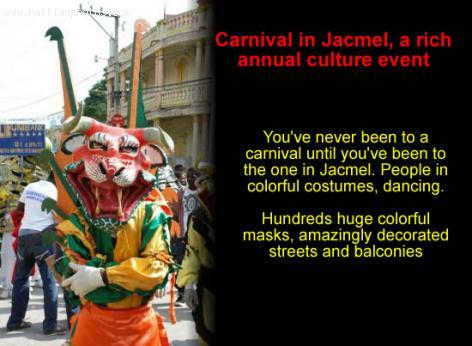 The Carnival in Jacmel, an event that should not be missed. 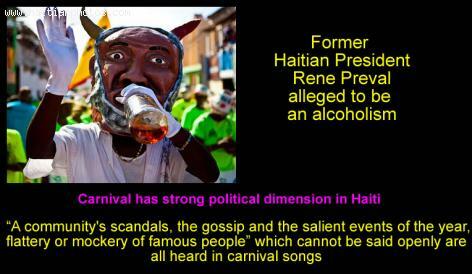 The Carnival in Haiti as well as in many countries of the world has many observable and unique elements which make the carnival something that is specific to each country. 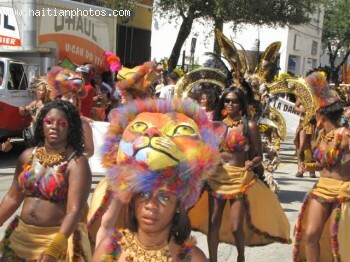 In Haiti, our carnival many features which make it recognizable even to those who are not very familiar with it. Here is a picture of the famous Chaloska. 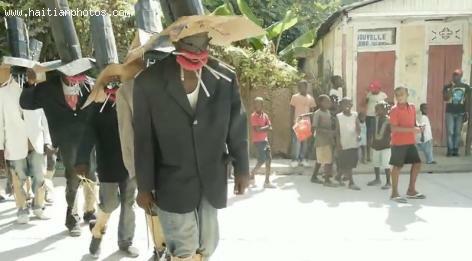 This came from the story of Chief Charles Oscar in the city of Jacmel. 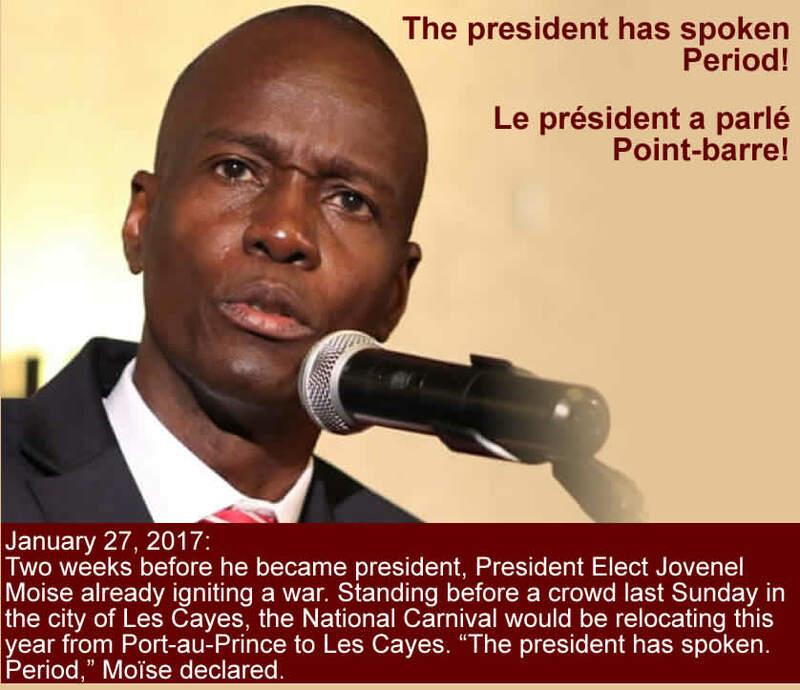 He was a military commander in charge of the police in Jacmel. 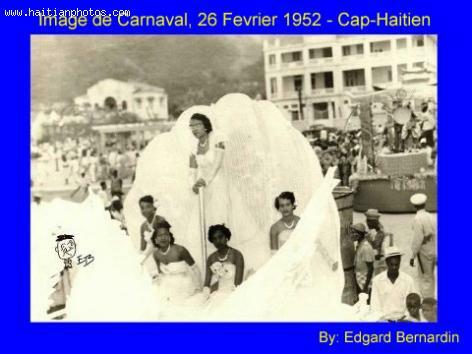 Many people remember the time of Carnival des etudients and think that the flavor is no longer.